Does your website rank well in the search engines for search phrases your clients use each day? 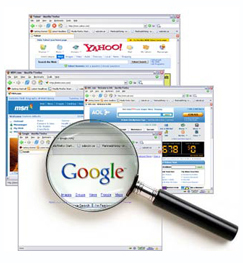 Do you know which phrases actually get searched for each day in Google, Yahoo and Bing? If not, then you need the SEO experts at iIntentio to create a FREE customized SEO Proposal and plan for your business. No two SEO campaigns are the same. Each business requires a 100% unique plan and approach for SEO. So many companies out there offer “Search Engine Optimization (SEO)” services. The question is, who can you trust? How do you separate the quality (good guys) from the outdates (black hat) SEO practitioners? The answer is actually pretty simple. White hat SEO is sometime that everyone claims to practice but few actually do. White hat SEO is an approach used by REAL SEO companies who actually care about the clients brand and well being. The term “White Hat SEO” literally means that this method of SEO is performed using only premium methods that almost always carry a premium cost and also bring long term premium results. This is in contrast to the Black Hat SEO who promises the world quickly for very little money. With Black Hat SEO a company is aiming to cut corners using outdated methods that are frowned upon by Google and other major search engines. Why would they do this? The answer is simple – it is cheap, easy and can be outsourced almost 100% to almost anyone. The results produced by Black Hat SEO are often very temporary and put your brand and website at great risk for the long term. We are, of course, a practitioner of ONLY White Hat SEO. So if you are looking for a quick fix or the cheapest cost then you need not read any further. White Hat SEO Requires time, investment, and patience. SEO campaigns, done the right way, often take 12 months or more to bear there fruit. What is the reason for this? White Hat SEO is the actual NATURAL growth of a website. In other words we are helping your website to slowly gain “Authority” and “Trust” in the eyes of Google and other search engines. This kind of trust cannot be rushed; it has to be earned at a pace that looks totally natural. There are no short cuts when speaking about Real White Hat Search Engine Optimization. 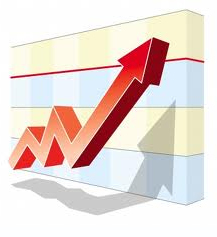 As your website gains trust and authority the rankings follow soon after. The time needed to establish a website as an “authority” varies from niche to niche and is unique for each business. We are so confident in our SEO skills and practices that we offer each of our potential SEO clients a totally free in depth website analysis as it relates to SEO. We offer insight on some basic target keywords, timelines, cost, and much more. We do not use “Cookie cutter” proposals or reports – each analysis/proposal is hand written from scratch and all of the research is done by our in house Full time SEO experts. In other words, do not expect the analysis in a day, it often takes a week or more to do this kind of analysis properly.